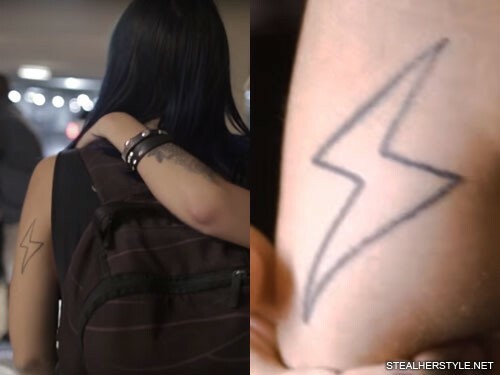 Yasmine Yousaf has an outline of a lightning bolt tattooed on the back of her upper left arm. 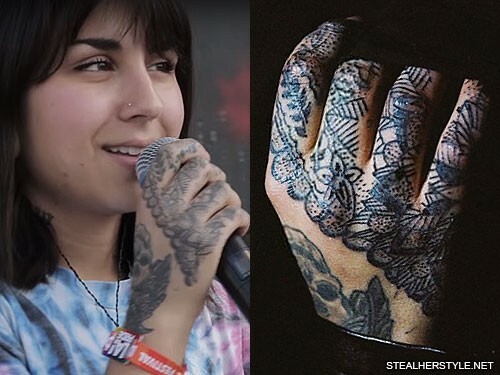 In December 2015 Yasmine Yousaf got this a henna-inspired tattoo spanning across four fingers on her right hand. 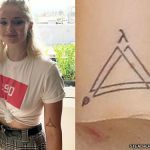 Though the tattoo design seems more modern than traditional henna, it is probably inspired by her Pakistani ethnicity. 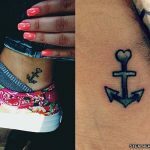 Yasmine Yousaf got this tattoo on the back of her right hand in April 2014. It is a raven perched atop a human skull. 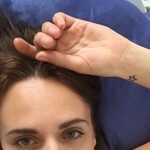 The skull has a third eye in the center of the forehead. The raven and skull are both symbols of death while a third eye represents enlightenment. 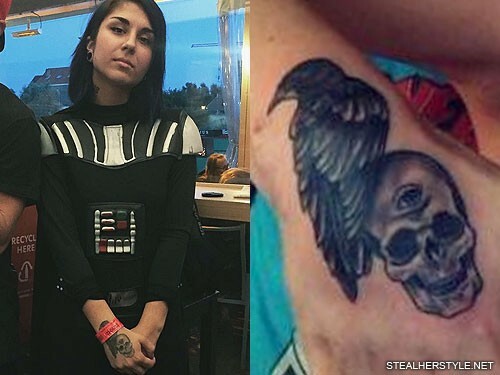 Yasmine Yousaf got a skull and rose tattoo on the left side of her neck in January 2014. 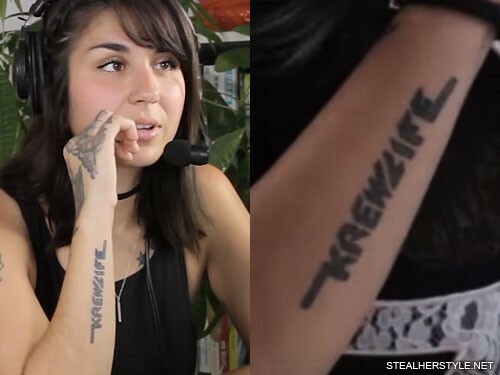 In October 2013 Yasmine got matching “Krewlife” tattoos with her sister and fellow Krewella member Jahan Yousaf, Krewella’s tour manager David Carlson, and their video director Miles Evert. 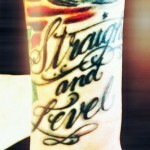 Yasmine’s is on her right forearm. 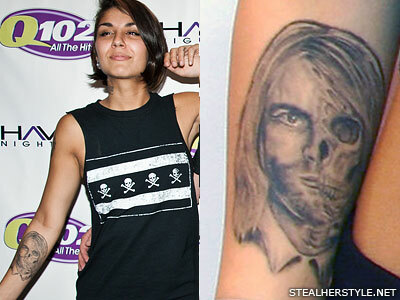 Yasmine Yousaf has a portrait on her right forearm of Nirvana frontman Kurt Cobain with half of his face as a zombie. 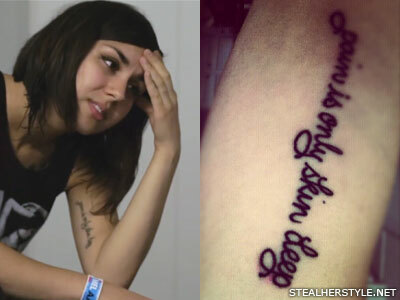 A Krewella fan drew the design for her and she had it tattooed in April 2013. 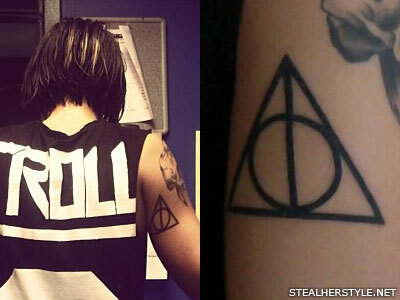 Yasmine Yousaf added a tattoo on the back of her upper right arm of the Deathly Hallows symbol from Harry Potter in April 2013. 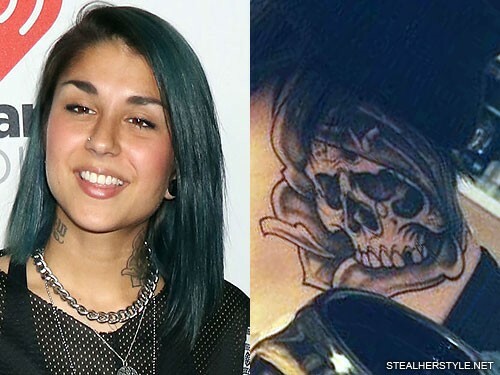 Yasmine Yousaf has a tattoo on her upper right arm of a skull pierced by a dagger. 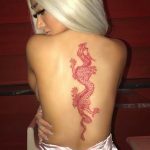 Yasmine Yousaf has a tattoo on the inside of her upper left arm which says “pain is only skin deep.” This tattoo is a “Middle finger to the people and things that hold you back in life,” she writes. 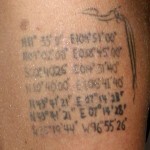 She had it done in April 2012.